This school was one of the few realised projects of Forum collaborator G. Boon. The use of pentagonal classrooms allowed for a variety of possible combinations. In this seven-class school it has led to a mixed play of both artificial and natural light. Between classrooms were less-tall connecting areas containing corridors and toilets. 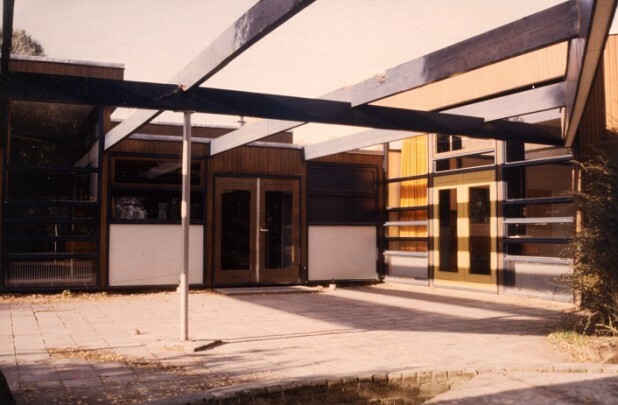 The school possessed a timber-frame structure; a wooden pergola acted as transition to a roofed playground.